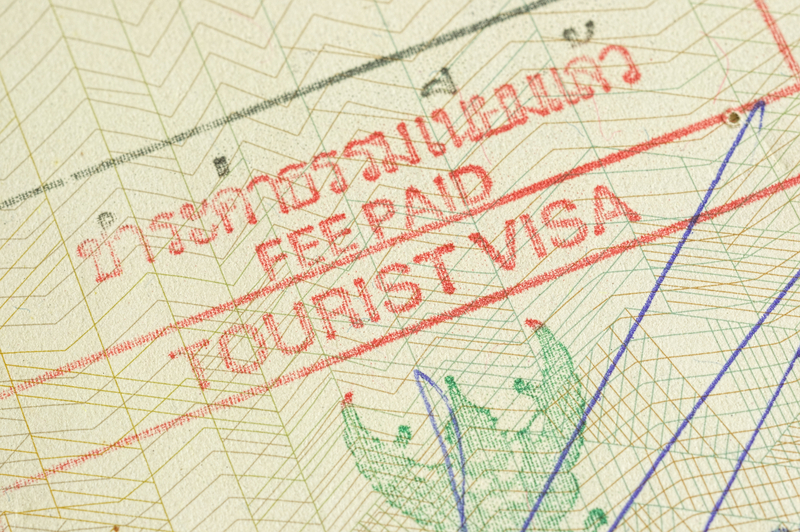 Retirement visas are readily available in Thailand. There are two financial requirements: either a lump sum of at least 800,000 Thai baht (TB) or A$26,500 in a Thai bank (it can be a foreign bank with a Thai branch, like HSBC) for three months prior to application; or an income test. There are two financial requirements for retirement visas: either a lump sum of at least 800,000 Thai baht (TB) or A$26,500 in a Thai bank (it can be a foreign bank with a Thai branch, like HSBC) for three months prior to application; or an income test, with the requirement being a minimum of TB65,000 or A$2200 a month or A$26,400 a year (this is a bit more than Australia’s age pension for a single person); or a mixture of the two. One requirement is that visa holders must check in with authorities every 90 days, but Dorothy and other expats we spoke to say that this isn’t a problem. You must be over 50 years old and have proof from your bank that you either have a bank balance of at least 800,000 baht (about A$26,500) or a monthly income of at least 65,000 baht (about A$2200). It is also possible to meet the test with a combination of bank balance plus income in the event that your monthly income is less that 65,000 baht (A$2200). You must also provide a police report from Australian police. (These can take a while but are easily obtained from your local police station.) In addition, you must have a medical check to prove that you do not have a ‘prohibited disease’. The retirement visa is for twelve months and can be extended in-country. It is a multiple entry visa but there is a requirement to report to immigration officials once every 90 days. The visa application processing fee is A$225, and the visa is valid for twelve months with multiple entries. a copy of a bank statements showing a deposit of the amount equal to but no less than 800,000 baht (A$26,500), or an income statement (an original copy) with a monthly salary of no less than 65,000 baht (A$2200), or a deposit account plus monthly income of no less than 800,000 baht (A$26,500) a year. a medical certificate (www.thaiconsulate sydney.org) indicating that the applicant has no prohibitive diseases as indicated in the Ministerial Regulation No.14 (B.E. 2535) issued no longer than three months prior to submitting the application. If the applicant’s spouse does not qualify for a retirement visa stay in Thailand, a marriage certificate will be required to be produced (the spouse will be considered for a non-immigrant visa category ‘O’). Applicant may submit an application at the Royal Thai embassy or Royal Thai Consulate-General in their home or residence country or at the Office of the Immigration Bureau in Thailand located on Soi Suan Plu, South Sathorn Road, Sathorn District, Bangkok 10120. Tel 0-2287-4948 (direct) or 0-2287-3101—10 ext. 2236. Or an applicant must submit their application at their local immigration office. After you have made copies of all the documents, you must separate the documents into four sets. Within these sets, arrange the documents in the order given above. All together you will have one set of the original documents and three sets of copies. After the four sets of documents have been prepared, you must take them to a public notary to bind and notarise each set of documents (the documents must only be binded by the public notary). You will be given six months from your entry to Thailand to bring in your household items from your country. If your permit grants you to stay for a year, these items will not be taxed. Otherwise, they will be taxed at a rate of 20 per cent for import duty and 7 per cent for value added tax. However, the deadline can be flexible. If you expect your items to arrive past the six-month deadline, you may inform the customs department two months before the deadline to request for an extension. This, though, is not applicable on shipments arriving in some ports, especially in Bangkok. Most people misunderstand the concepts of ‘extension of stay’ and ‘re-entry permit’. These are two distinct categories. You need both during your stay. Extension of stay can be requested at the Office of Immigration Bureau (see details above). At the end of the twelve months’ stay, if you wish to extend your stay you can submit a request for the extended period of stay at the Immigration Bureau along with evidence of money transfer, or a deposit account in Thailand, or an income statement proving that you have the amount of no less than 800,000 baht (A$26,500), or an income statement with a deposit account that adds up to no less than 800,000 baht a year. If your spouse wishes to extend their stay as well, a marriage certificate has to be produced. A one-year extension of stay shall be granted at the discretion of the immigration officer to the foreigner as long as he or she meets the above requirements. You are required to report to the Immigration Police every 90 days if you are on a long-term extension of stay. Persons holding a multiple entry visa will simply depart Thailand and renew their extension of stay after each 90-day entry. If you cannot obtain your extension inside Thailand, you will have to get a new non-immigrant visa from a Thai embassy or consulate abroad. The retirement visa, once approved, allows you to stay in Thailand for one year. You are not allowed to have employment while on this type of visa. Retirement visa holders are also restricted from owning houses or land in Thailand. However, all visitors to Thailand, including tourists with no long-term visa, are able to purchase condominiums, apartments and other residences that do not include the purchase of Thai national land.